Gotta love the American media. Consider the following scenario. 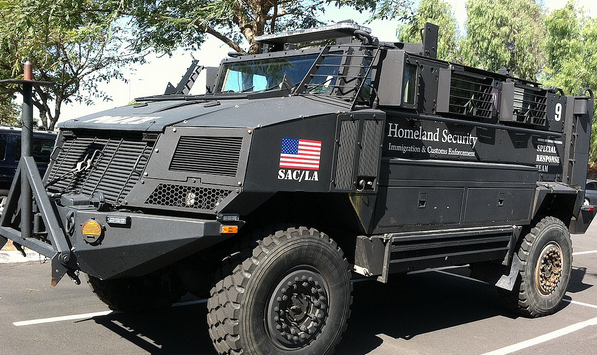 MRAP – Mine Resistant Ambush Protected vehicle designed for asynchronous warfare – Coming soon to a city near you! — Unemployment has been over 8% for in excess of forty months and the number of people on welfare has doubled. — The government is spending money with such reckless abandon that drunken sailors have begun to object to the comparison. — Even the left-leaning Huffington Post notices Obama hiring a “legion of lawyers” in preparation for the election. — The same DOJ that was unconcerned when a couple of black guys in military fatigues armed with a billy club guarded a polling station while screaming taunts at white voters… now considers it “racist” that Florida wants to remove dead people from the voter rolls and Texas and Carolina want to make sure a voter is who they claim to be. — The Obama Campaign has filed a lawsuit claiming the extra 3 days allowed Ohio military voters on absentee ballots is irrational and unfair. — The feds got caught peddling arms to Mexican drug cartels, and the president’s response to an inquiry on the resulting cover-up was to shield the documents with executive privilege. — The president signed multiple recent executive orders giving himself dictatorial powers in the event of a “crisis”…. — and several domestic agencies appear to be arming for a potential insurrection, purchasing vast quantities of arms and ammo, deploying drones and even armored military vehicles. How much does Mitt Romney REALLY pay in taxes? Previous Post Did Senator Harry Reid Father Cher’s Child? Next Post NBC Report: Romney Masticates in Public!